The Port of San Diego has completed installation of a new Barrio Logan gateway sign spanning Cesar Chavez Parkway between Main Street and Newton Avenue. The concept for the sign evolved through meetings with residents, property owners, businesses and artists over a yearlong period. 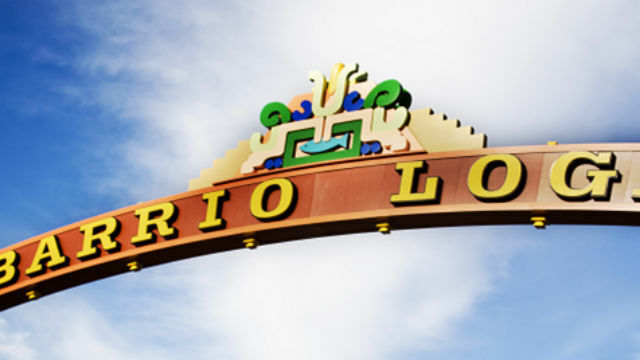 “The Port of San Diego honors the rich cultural heritage of the Barrio Logan community with the dedication of this gateway sign,” said Bob Nelson, chairman of the port’s board of commissioners. A community celebration is scheduled for noon to 4 p.m. Saturday at the sign. The public is invited for music, dancing, food trucks, local beer sampling and family festivities. The sign is part of a $1.75 million project that includes crosswalk enhancements, lane adjustments and landscaping. The changes will benefit the transportation of imports and exports through the Tenth Avenue Marine Terminal and improve air quality and safety in Barrio Logan.